Coronado placed five runners among the top seven Tuesday to easily win a six-team meet at Sonata Park. The Cougars had a team score of 24. Basic was second with 81, followed by Durango (85), Spring Valley (86), Sierra Vista (103) and Silverado (151). Basic’s Raquel Chavez won the 2.86-mile race in 17 minutes, 54.2 seconds. Coronado’s Claire Rawlins took second in 18:05.6. Sierra Vista’s Sarriah Brown was third in 18:11. 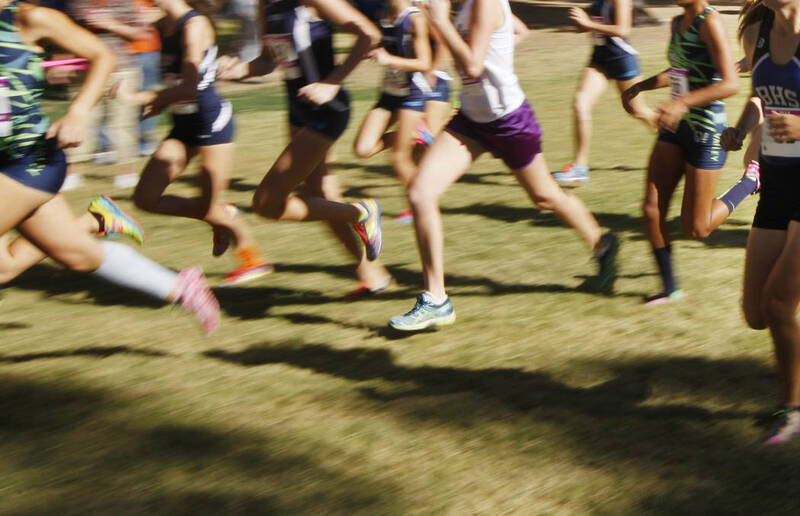 At Overton, Shelby Olson and Emma Humes took the top two spots and led Moapa Valley to victory in a five-team meet. Olson won the 3.1-mile race in 22:11.04, with Humes just 0.5 seconds behind, as the Pirates finished with a score of 30. Boulder City was second with 36, followed by Somerset-Losee (70), Sky Pointe (108) and Chaparral (110). Somerset-Losee’s Maranda McGuigan finished third in 22:24.4.